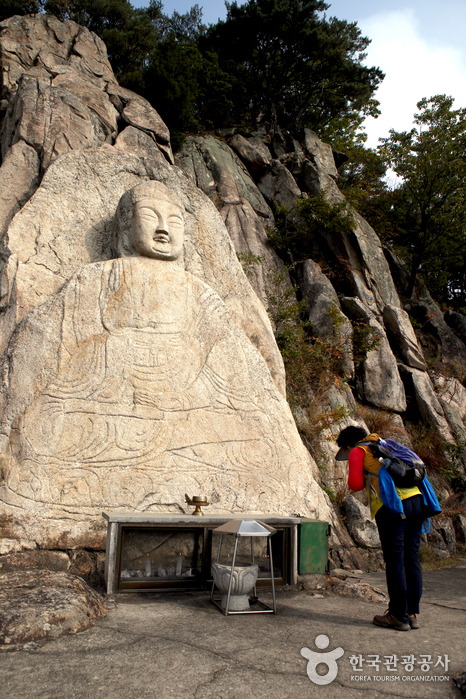 Namsan Mountain in Gyeongju is home to many temples and shrines, and was considered sacred by many during the Silla Kingdom. 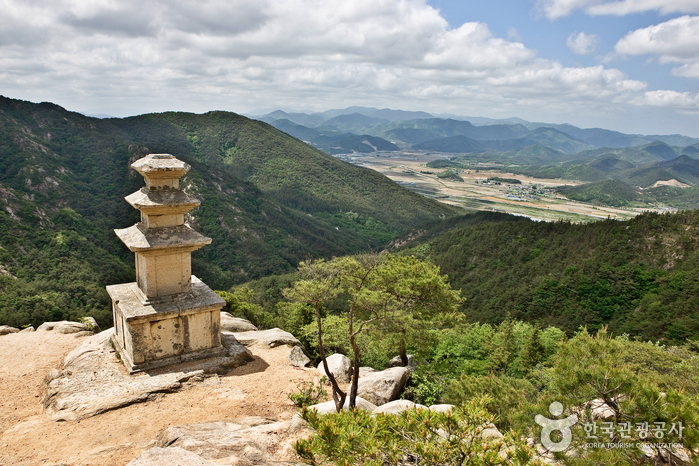 This mountain boasts nearly 40 valleys winding down from Geumobong Peak (468 m in elevation), Gowibong Peak (494 m in elevation), and other surrounding peaks. 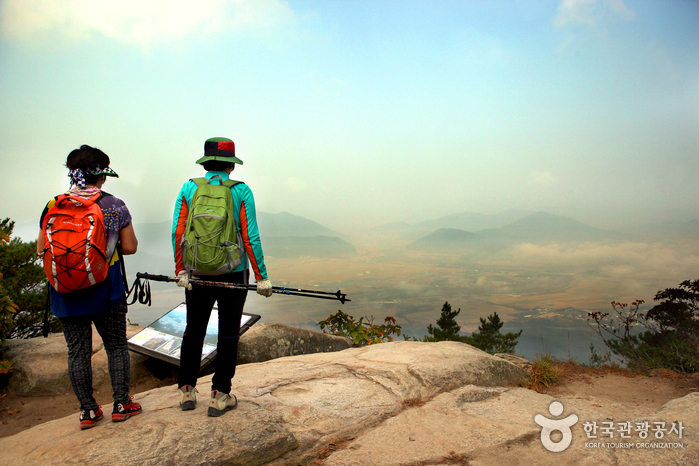 Also, this 4 km-wide and 8km-long oval-shaped mountain runs almost perfectly north to south. 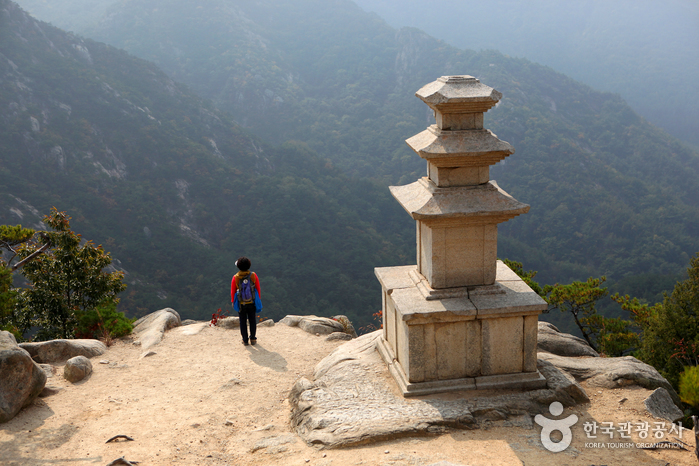 Namsan Mountain is a veritable open-air museum, with 100 temples, 80 stone Buddha statues, and 60 stone pagodas scattered across the mountainside. 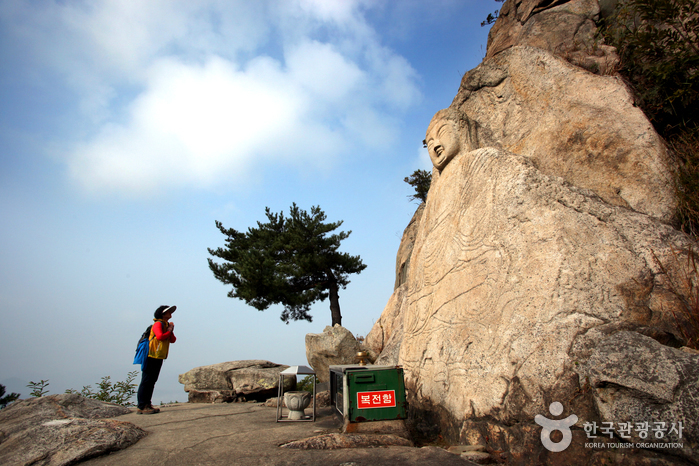 Topographically, it features nearly 40 valleys and is divided into the Southwest Mountain, a sacred place during the Silla period, and the Southeast Mountain, where many Buddhas can be found around the valleys. 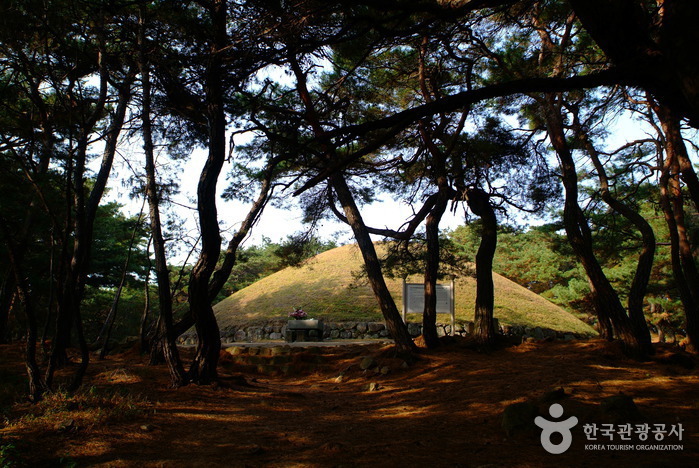 Najeong Well, at the western foot of Namsan Mountain, is the mythic birthplace of King Park Hyeokgeose, founder of the Silla Kingdom. 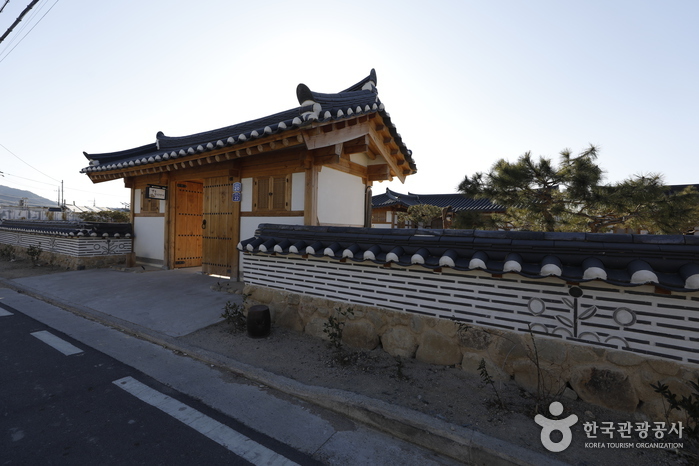 The local Yangsanjae Shrine was built in honor of its founder who lived in Seorabeol before the Silla Kingdom was established. 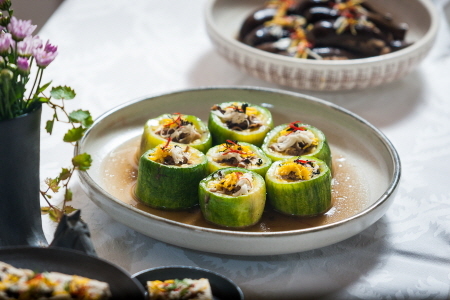 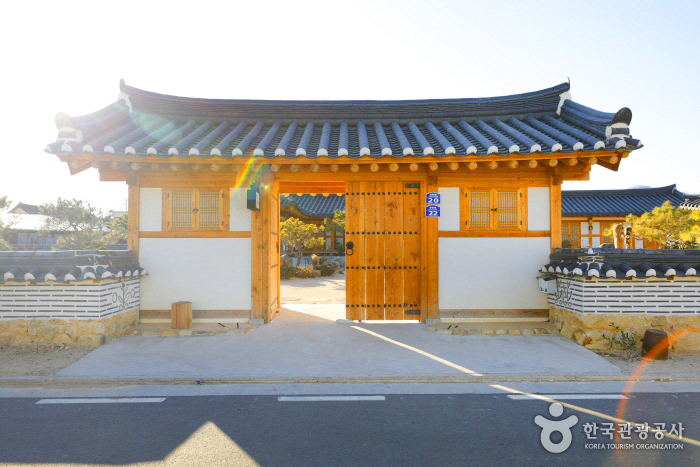 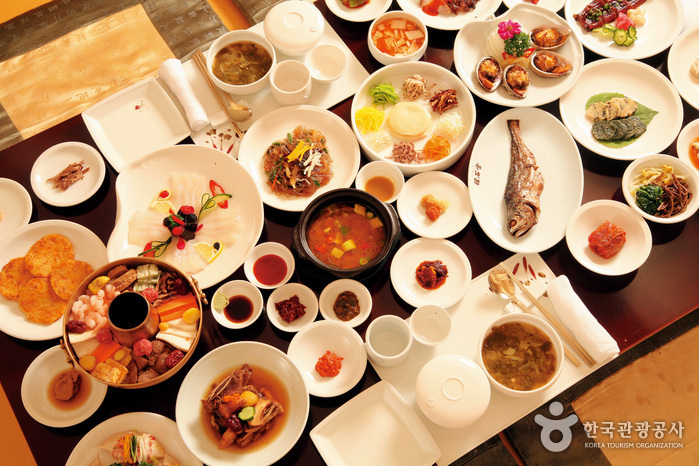 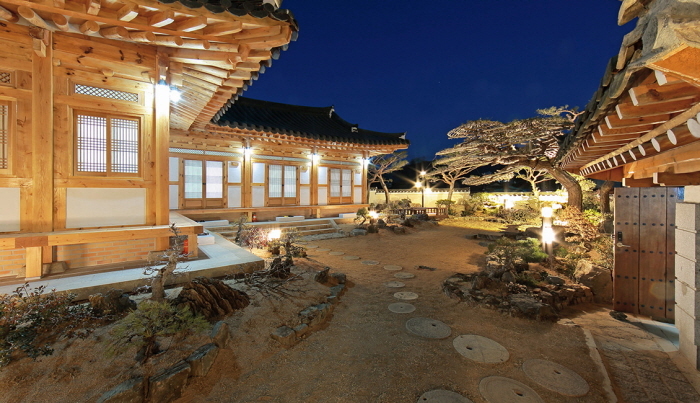 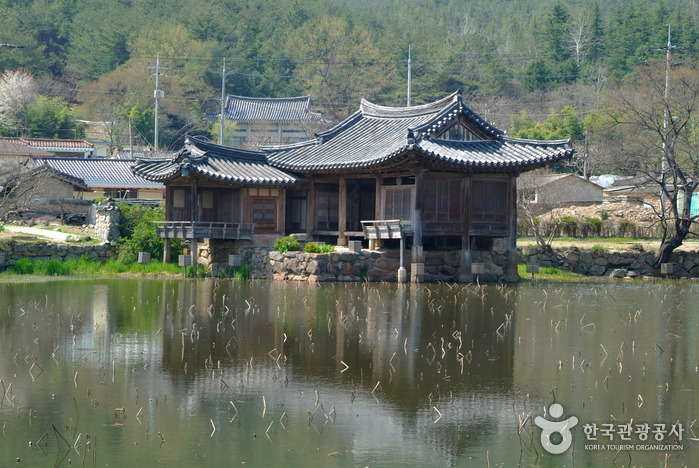 Poseokjeong Pavilion is the place where the glorious era of the Silla Kingdom came to an end. 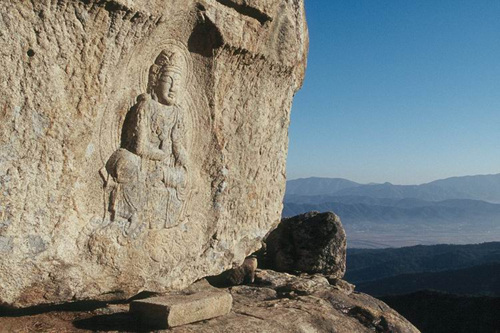 In the Southeast Mountain region, one can encounter the Seated Buddha of Borisa Temple, a 9-meter Bulmusa Stone Buddha Statue, and a Seated Stone Buddha at Gamsil Shrine. 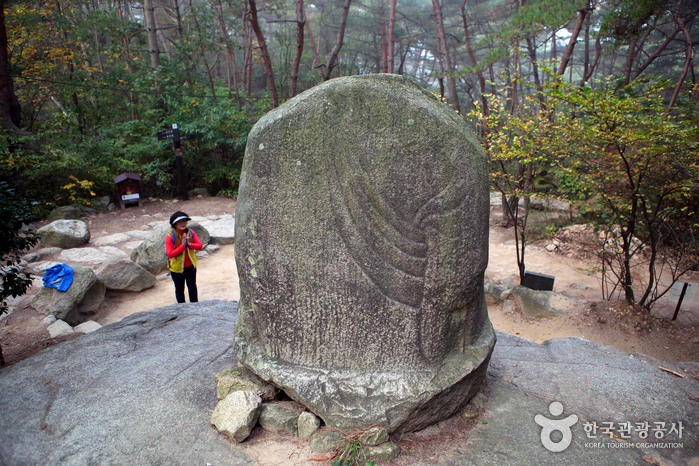 Namsan Mountain also features 12 treasures, including Mireukgol Seated Stone Buddha, a three-storey stone pagoda in Yongsangsa Temple, the Maae Stone Buddha in Chilbulam Temple, and others. 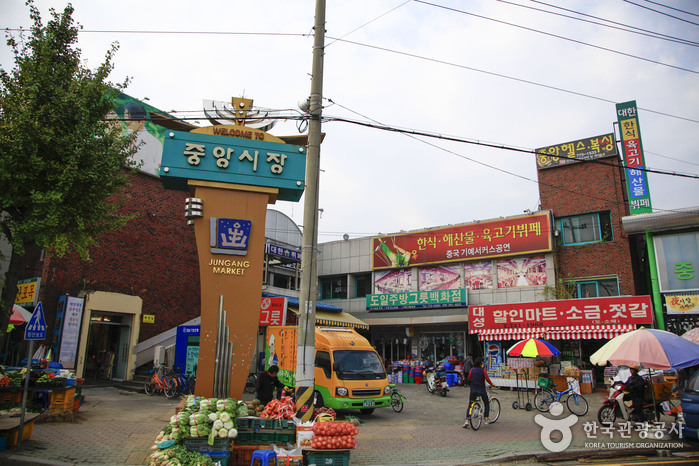 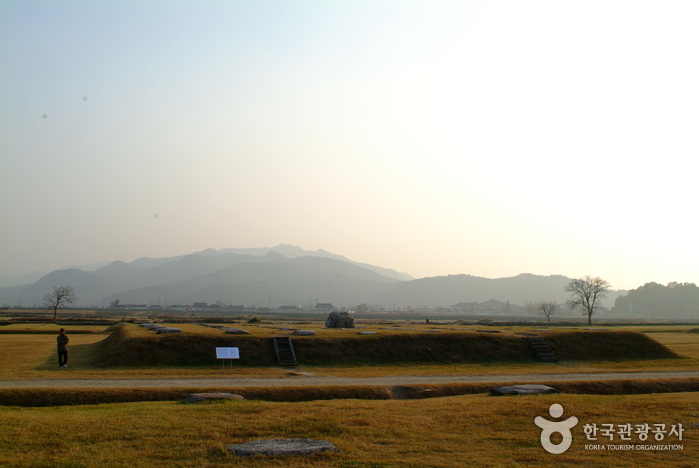 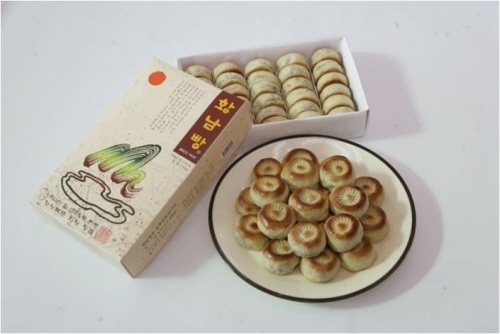 There are also twelve historic sites, such as the site of Poseokjeong Pavilion, Najeong Well, and Samneung Royal Tombs, as well as nine local tangible cultural properties (Maaegwaneumbosalsang Buddha in Samneunggol Valley, Ipgolseokbul Buddha, Yaksugol Maaeipsang Buddha, and others), and one important piece of folklore material. 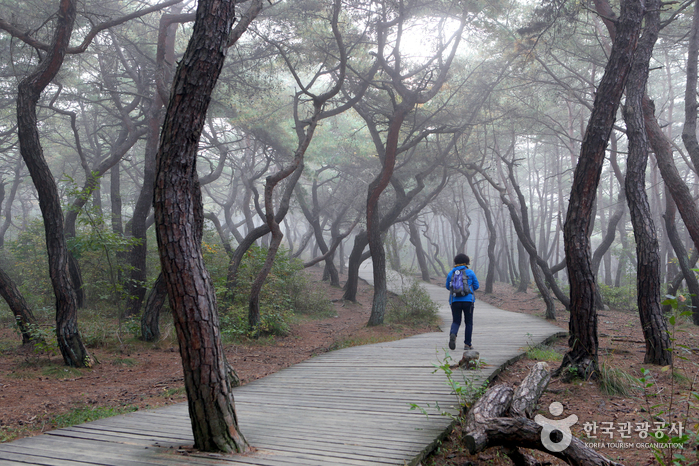 Namsan Mountain is also famous for its scenic landscapes in addition to its cultural heritage. 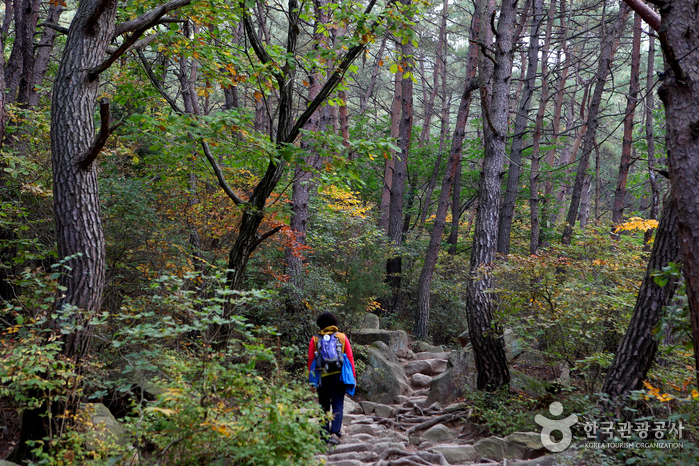 Numerous valleys, unique rock formations, and beautiful trails are abundant throughout the area. 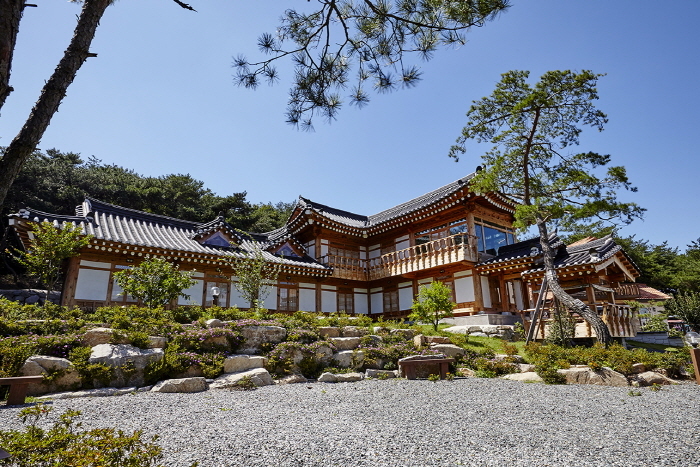 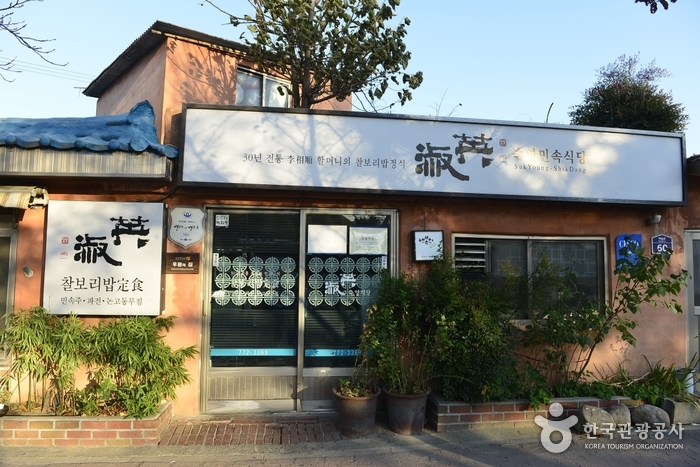 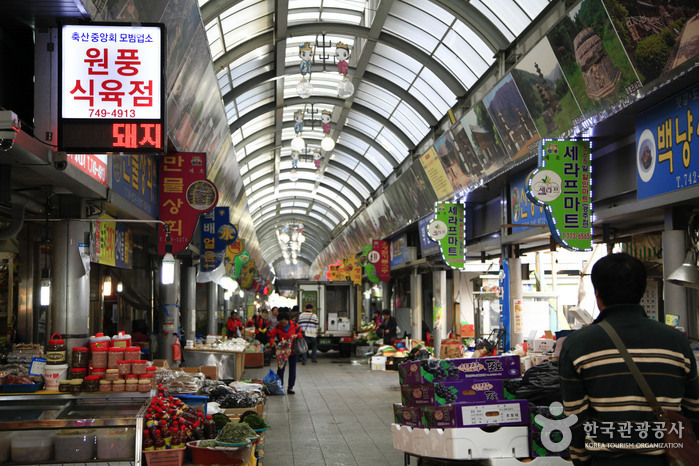 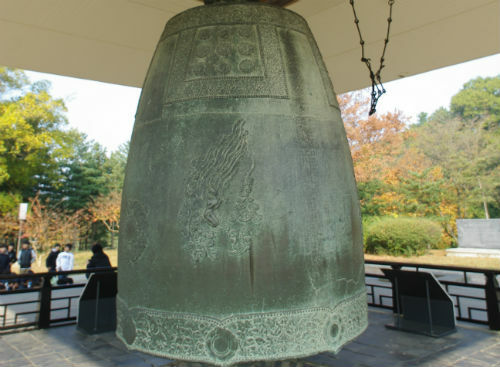 Many tourists say, “You cannot say that you know Gyeongju without hiking up Namsan Mountain.” Namsan Mountaint is a place where the scenic nature and long history of the Silla Kingdom coexist, and also where the aesthetic consciousness and religious traditions of the Silla people evolved into the artform it is today.